Express your gratitude with our collection of unique thank you gifts. Whether you’re thanking a long-time client or treating a hardworking team, you’ll find something for everyone here. 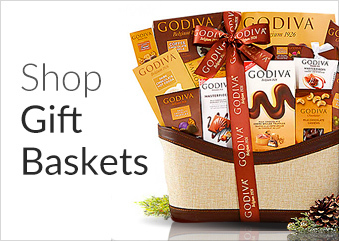 When you’re looking for corporate thank-you gifts that truly express your appreciation, CorporateGift.com is your one-stop destination for every business associate on your list: from key clients and employees to the company CEO, we have an exceptional range of gourmet gift baskets suitable for anyone. Our hand-crafted thank you gift baskets have been thoughtfully assembled in a collection that offers something for everyone – choose from an assortment of gift boxes and baskets, including gourmet brownies and cookies, wine glass sets, chocolate covered strawberries, , Edible Arrangements bouquets, Veuve Clicquot Champagne Baskets, wine and cheese gift sets, and premium candy & nut combo gift boxes. • Tis the Season: Delight your coworkers this holiday with a beautiful collectible gift basket – whether you’re looking for single-malt scotch for an esteemed colleague or decadent candy for your favorite assistant, you’re sure to find the perfect gift idea! 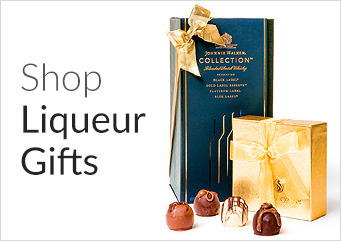 Choose from fine wines & spirits, gourmet truffles, fruit baskets, and other delightful gift sets for everyone on your holiday list. • Raise a Glass: Nothing marks a special occasion in the office like the gift of champagne! Luxuriously presented in a decorative basket or collectible box, our gift sets include premium brands such as Veuve Clicquot and Moet & Chandon. We also carry other top shelf wine and liquors, including aged Scotch whisky, bourbon, vodka, engraved bottles and much more.